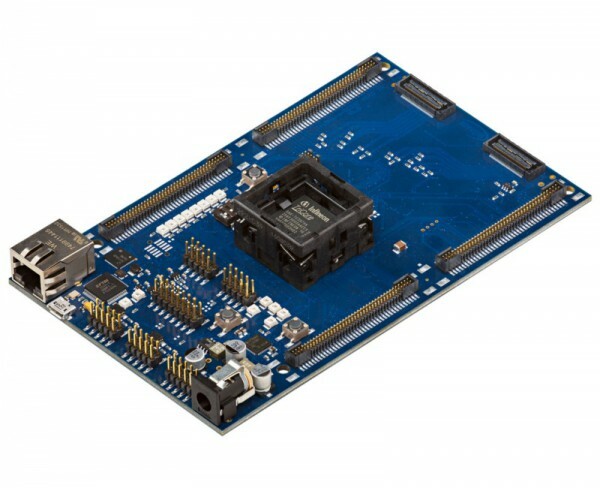 The User Manual provide information about using, configuration and connecting the TriBoard with Infineon AURIX™ TC3X7 ADAS device. The manual provide information for different hardware types. There exist different hardware with Through Hole socket (TriBoard TC3X7 ADAS TH) and soldered devices (TriBoard TC3X7 ADAS). The schematic is identically for the all boards if not other mentioned in chapter schematic. The placing on the boards is slightly different around the TC3X7 ADAS itself dependent of the space (socket need more space and has through hole), but the most components are on the same location. All figures are valid for each board if not differently mentioned.